If you love driving a new car with all the latest technology every three years, leasing may be your best option. However, if you’re someone who tends to stick with the same car for years, buying a new or used car may be the way to go. Because each person’s situation and preferences differ, there isn’t a one-size-fits-all “best” answer. There are a combination of financial and lifestyle factors to consider to make the best decision for you. Let’s take a look under the hood and address the pros and cons to help you be a more informed consumer. Now that you have the basic pros and cons of your options, here are a few tips to help you save money if you decide to lease. 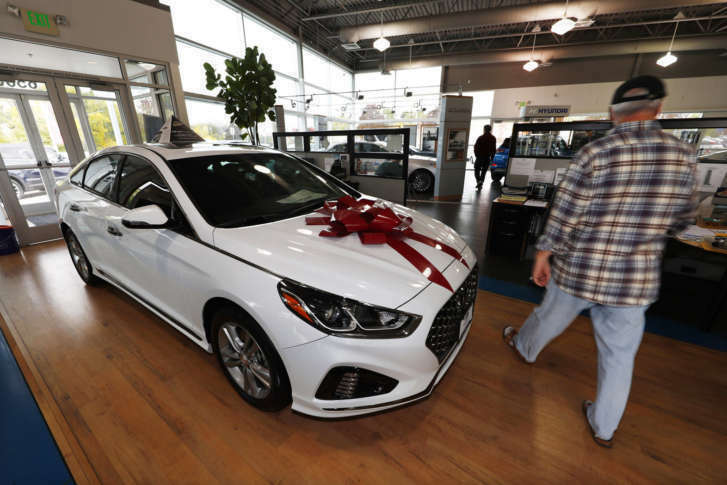 While consumers are generally more familiar with buying and financing a new or used vehicle, leasing has grown in popularity and now accounts for nearly one-third of vehicle transactions. If you choose to lease a vehicle, it is critical that you understand the lease terms that go into the calculation of the lease payment. Many people don’t realize they can negotiate the sticker price on a leased vehicle in the same way you negotiate the sales price when buying a vehicle. It’s a common misconception that you need to pay the full sticker or MSRP (manufacturer’s suggested retail price) when leasing. By reducing the price of the car, the total depreciation amount will be less which means lower monthly payments. For example: You lease a new SUV for a $40,000 sticker price and the predetermined residual value is $22,000 at the end of three years; therefore, your 36 monthly lease payments would be based on the $18,000 total depreciation amount plus fees and interest. For simplicity, you are paying $6,000/year or $500/month in lease payments. If you negotiate the vehicle’s price down from $40,000 to $37,000, your depreciation amount would drop from $18,000 to $15,000, saving you $3,000 over the lease term which would lower your 36 monthly lease payments to $417/month (before fees and interest). Next, let’s understand how to calculate the comparable interest rate used in financing your lease — dealerships use the term “money or lease factor”. When a dealership quotes you a lease factor of .00125 percent, this is not the interest rate. You need to multiply this factor by 2,400 to convert it into a comparable interest rate: .00125% x 2,400 = 3%. Money factors vary by car and model. Pay attention to the down payment required at lease signing which is usually listed in the fine print. For example, you may see an ad for a car that says the lease payment is only $199 per month for 36 months, which sounds like a great deal. However, in the ad’s fine print is the reference to the required $3,600-down payment as a condition of the lease payment being $199 per month. If you amortize this $3,600-down payment over the 36-month lease period, ($3,600 ÷ 36 = $100 per month) you are actually paying $299 per month. Before signing up for a lease, ask about the annual mileage allowance included in your lease terms and penalties for exceeding this mileage. Most limit annual mileage to 12,000 miles per year or 36,000 miles over the three-year lease period. If you exceed this allowance, overages can be as much as 20 cents per mile. If you drive 15,000 miles per year or an extra 9,000 miles over the three-year lease term, you could be hit with an unexpected mileage penalty of $1,800 when you turn the car in the end of the lease period. Many consumers forget that they have the option of buying the vehicle at the predetermined residual value at the end of the lease term. This is a good option if you really love the car or have high penalties from excess mileage or excessive wear and tear. Finally, be aware that you still have to pay the sales tax for your state of residence whether you lease or buy a car and this tax will also be built into the lease payment. Whether you are leasing or financing a new car purchase, you should always read the fine print in any contract before signing. When it comes to buying or leasing, as they say, “Your mileage may vary!” Consumers need to carefully consider all the pros, cons and costs involved to determine which option best fits their situation. Look at your budget and understand your mileage needs, credit history and lifestyle before you make the leap. By arming yourself with knowledge and doing some homework before walking into a dealership, you may drive away with a great Black Friday deal!